Numerous Wildflower Center staff rank among those leading experts, including Danielle Pieranunzi, Sustainable Sites Initiative director at the Center. Pieranunzi describes SITES as an essential tool for sustainable land design and development that was missing in the marketplace, moving the focus beyond efficiency to regenerative practices that promote healthy and resilient communities. “SITES addresses urgent problems of today such as climate change, water and air pollution, and public health as well as elevates the value of landscapes and the critical ecosystem services they provide such as cleaning air and water, supporting pollinators, controlling erosion, and contributing to human health and well-being,” says Pieranunzi. 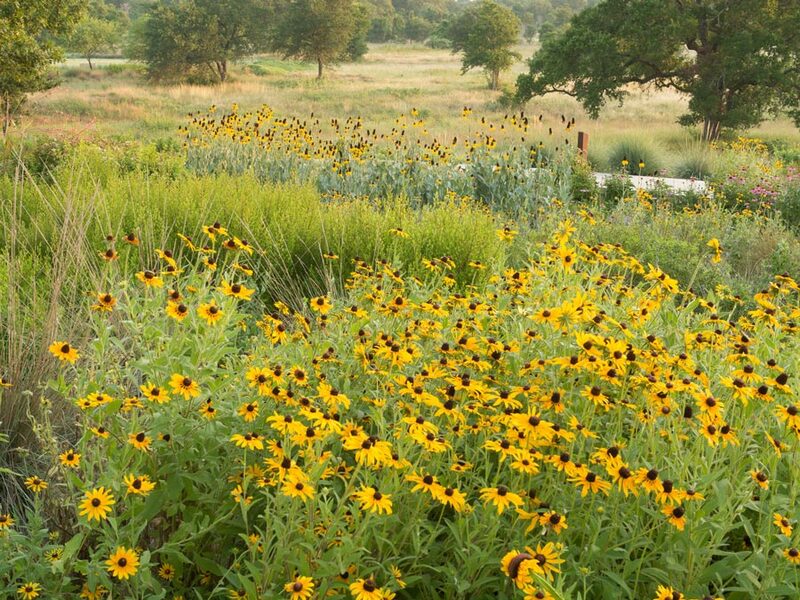 The Lady Bird Johnson Wildflower Center is proud to continuously support and develop ideas and actions that serve our mission to restore, conserve and create healthy landscapes.